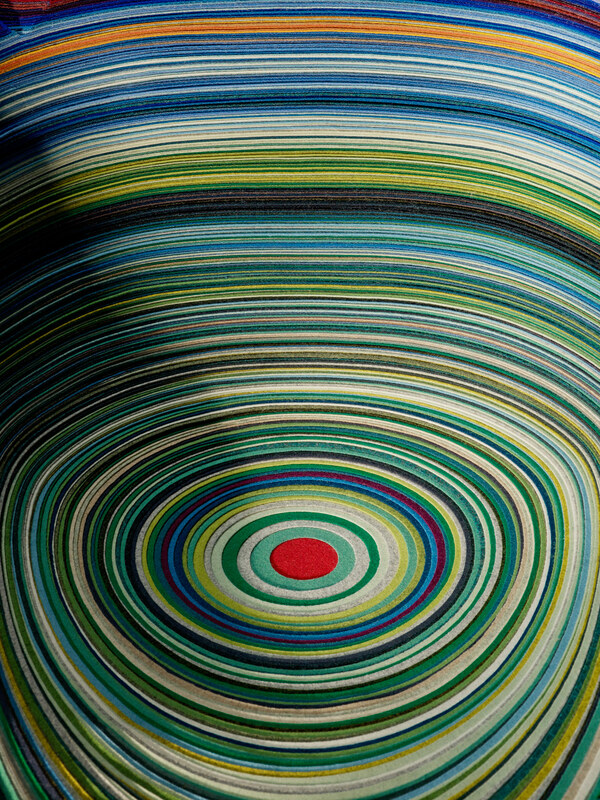 2013 Hutten designed this chair for the exhibition ‘Divina - every color is divine’. Based on an earlier version of the designer's aluminium Cloud chair, Hutten has created the Layers Cloud Chair based on the same shape, a cluster of spheres. 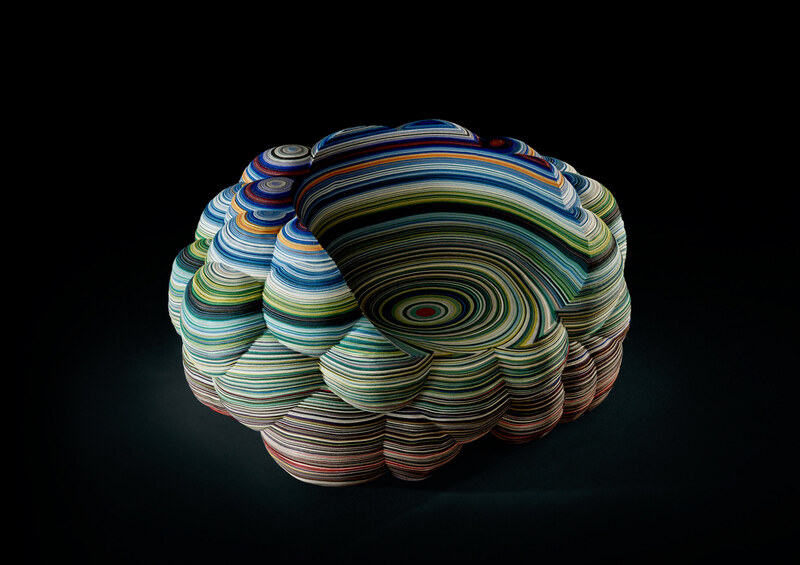 The Layers Cloud chair uses 840 metres squared of Kvadrat's Divina fabric and references the layered rock pigments found in the Painted Desert, Arizona. "I wanted the design to be about the textile," said Hutten. 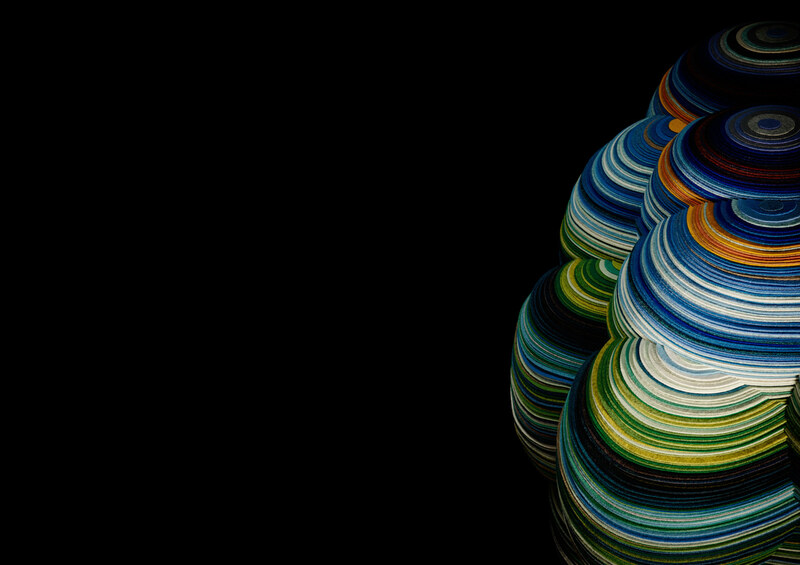 "Rather than using the material as a cover, I created an object with the material." 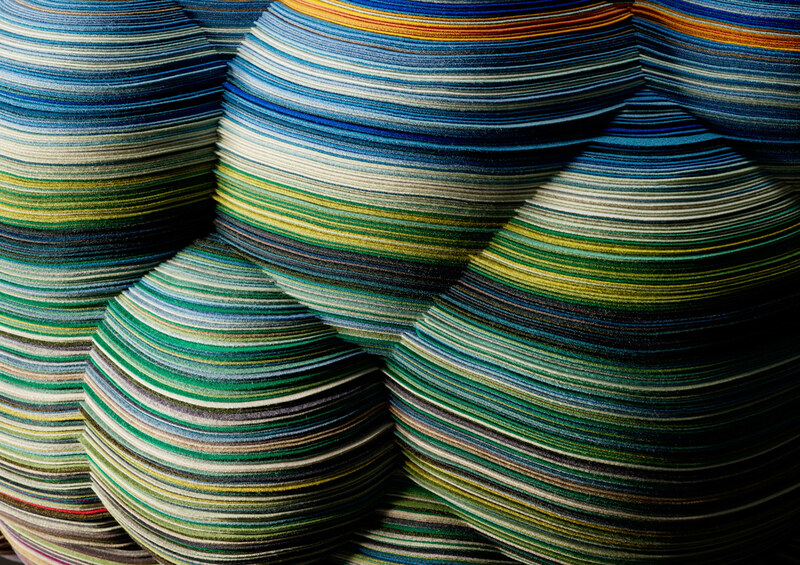 Each layer of the chair is a different colour, of which nearly 100 were used. The pieces of fabric were drawn separately, cut with a CNC machine and manually assembled one by one. "With the Layers Cloud Chair Richard has created a fairly baroque furniture piece offering a fulminant display of fireworks in colour." said Hans Maier-Aachen, curator of the exhibition in Milan in 2014.